You are here: Home / Blog / The weirdest mushroom in BC? Edible Lobster Mushrooms! The weirdest mushroom in BC? Edible Lobster Mushrooms! Lobster mushrooms in BC are one of my favourite edibles. They do taste mildly like seafood and have a great, firm texture. They also colour your dishes red; remember you eat with your eyes first! 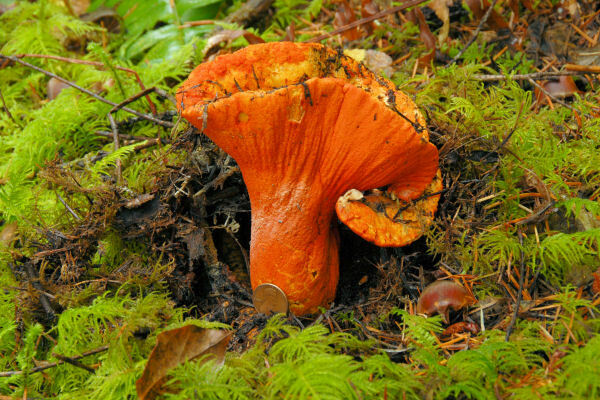 The cool thing about Lobsters (Hypomyces lactifluorum) are that they parasitize russula family mushrooms (with gills) and actually transform them into lobster mushrooms (without gills). They’re really easy to identify for beginner mushroomers. Anywhere there are russula’s around, especially russula brevipes (short stemmed, white russula). In other words, coniferous forests, growing on the ground. Pick them when they are firm and fresh. If they smell too fishy they’re no good. Slice them up and fry them with butter and thyme… stuff some ravioli with them and serve with a white wine cream sauce… YUM! One friend of mine had stomach cramps from eating a lobster mushroom. Probably allergy related as these are commercially available (wild ones). 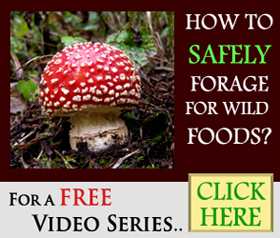 It’s a good idea to do a cook test with a small piece of any wild mushroom that you are 100% sure is edible. Eat it, wait a few days and then make sure you don’t get stomach upsets. Please use caution when hunting for edible mushrooms. This is just a rough guide which is no substitute for going out with an experienced wildcrafter. Most mushrooms aren’t deadly poisonous, but it’s no fun getting sick and not worth the risk! 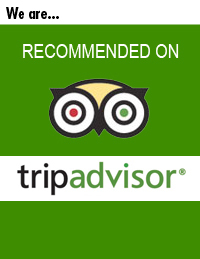 Come with us on a mushroom tour to start you off on the right foot. David Arora’s – “All that the rain promises and more” is a great handbook to give you more information on specific Pacific Northwest mushrooms. I’m from Vancouver island and my gf just picked one! That’s the first one I’ve ever seen in July, usually September. I think the freak rain storms are paying off. I know, this is a really early mushroom year, hopefully it will be long too. hey kinda of a stupid question, i know it is edible once the orange parasite takes over the mushroom, but is it okay to eat the mushroom if parts of it are still white? I wouldn’t eat a lobster until it’s fully transformed (your stomach probably will have troubles digesting it if not as the host mushrooms generally aren’t edible). Hope that helps. Another great comment, thanks so much for fleshing out the topic! Leave a Reply to Warr Click here to cancel reply.